How accurate are Prime Minister Oli’s claims? 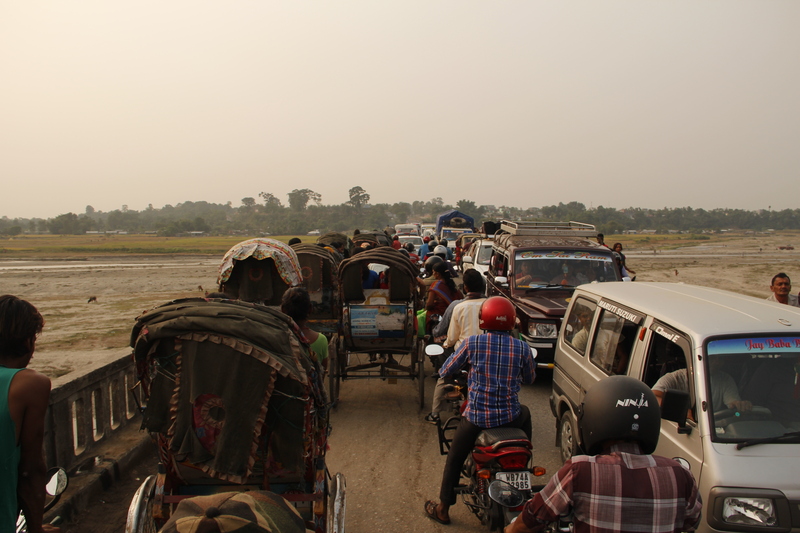 Vehicular traffic at Mechi Bridge at Kakarbhhitta on Nepal-India border in this November 15 photo. Prime Minister KP Sharma Oli, while addressing the nation on November 15, 2015, made statements on several issues including the new constitution and the devastation caused by the April earthquake. South Asia Check has examined some of the statements. Prime Minister’s first statement: The provision of proportional inclusion has been institutionalized (by the new constitution). One of the major demands of the agitating Madhesi parties has been that the provision of ‘proportional inclusion’ be included in the new constitution. The agitating parties have been demanding that the term ‘on the basis of proportional inclusion’ be included under the ‘right to social justice’ section of the new constitution. Article 42 of the new constitution speaks about the ‘right to social justice’ wherein ‘on the basis of principle of inclusion’ has been mentioned. The agitating parties have been demanding that the term ‘the principle of inclusion’ be replaced by ‘the principle of proportional inclusion’. It is alleged that India has also been exerting pressure on the government of Nepal to amend the constitution as demanded by the Madhesi parties. Click here to read about the alleged Indian-proposed amendments. Amid this situation, Prime Minister Oli claimed that the new constitution has already institutionalized the principle of ‘proportional inclusion’. The preamble of the new constitution states that the constitution is ‘determined to create an egalitarian society based on the principles of proportional inclusion and participation’. Therefore, Prime Minister Oli is correct in saying that the provision of ‘proportional inclusion’ has been institutionalized by the new constitution. Second statement: As the constitution is a dynamic document, there is ample space for its further improvement and development. This means all provisions of the constitution can be amended not contradicting the aforementioned vital issues. The constitution has not even made multiparty democracy immutable. Clause 8 of Article 274 has mentioned that constitution can be amended by at least two thirds majorities of the existing members of both houses of the federal parliament. Therefore, Prime Minister Oli is correct in saying that the new constitution has given enough room for further improvement and development. Third statement: About 9,000 people were killed, 23,000 were injured and hundreds of thousands were made homeless by the devastating earthquake. Click here to read the PDNA report. Similarly, figures compiled by the Ministry of Home Affairs show that 8,856 people died, 22,309 were injured, 602,000 private houses were fully damaged and 285,099 private houses were partially damaged in the earthquakes. Click here to read the statistics prepared by the Ministry of Home Affairs. The statement of Prime Minister Oli almost matches both statistics, and so this statement is also correct. Fourth statement: The obstruction in supply even from customs points that do not have any security problems has left me disappointed. South Asia Check visited Kakarbhitta customs point in eastern Nepal on November 11, 13 and 15 to get first-hand information about the supply situation. There was no presence of the cadres of agitating Madhesi parties at the customs point and no security problem was observed in the vicinity. On the Indian side, a long queue of cargo vehicles was awaiting entry to Nepal. See video. Therefore, this statement of Prime Minister Oli is also correct. Fifth statement: We are well aware about the losses suffered by the business community who have been subjected to billions of rupees in demurrage for the goods stuck on the border. He agreed with the statement of Prime Minister Oli that Nepali business community will have to pay billions of rupees as demurrage due to the obstructions. Therefore, the prime minister’s this statement is also correct. 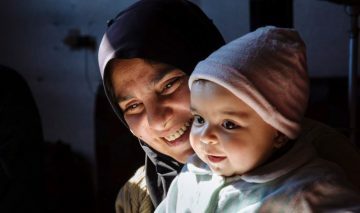 Sixth statement: It was estimated that about 500,000 citizens could be pushed to poverty due to the devastating earthquake. Therefore, Oli is wrong in estimating that about 500,000 citizens could be pushed to poverty, because no new report has come out yet to substantiate his estimation.